The Adventures of Popcorn and Jellybean is a fun book for children but it also teaches about nature. Popcorn and Jellybean are bored so they decide to go on an adventure. They’ve never been further than the big tree so they decide to pack up their tent and some supplies and go on an adventure for a couple of days. They get lost and end up spending five days in the forest rather than just two. During their adventure, Popcorn and Jellybean learn to watch the animals to see what is safe to eat. Even though they’re lost, they learn that they don’t need to be scared and can take care of themselves until they find their way home. 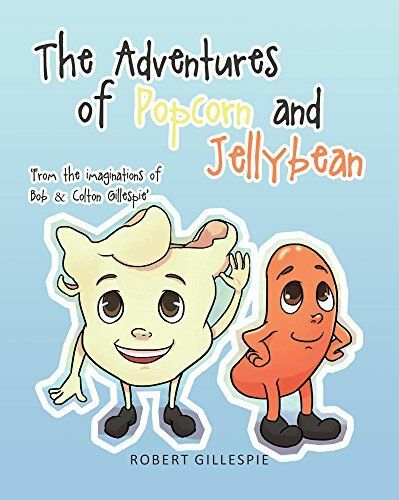 The Adventures of Popcorn and Jellybean is a fun book for children to read or for parents to read as a bedtime story. Thank you for your review of our book. So glad you enjoyed it!